A beautiful tea light candle holder from Newgrange. 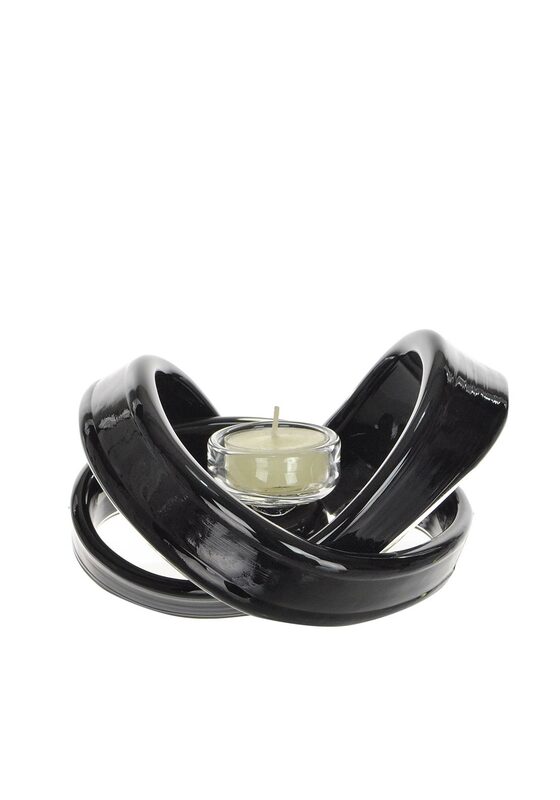 This stunning ornament is presented in black in the shape of a ribbon knot with a place in the centre for your tea light candle. A stunning ornament that will look good in a modern home.